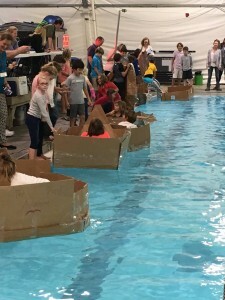 Our fourth graders study explorers in the Fall and this year the teachers thought it would be fun to have ourstudents make their own boats that they could actually float in… out of cardboard! 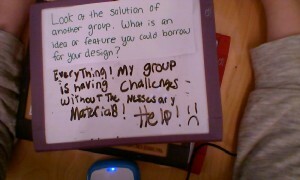 This project sounded exciting and scary at the same time. With the increase of engineering design activities in K-12 classrooms comes a new set of challenges to educators and policy-makers. Previous studies have demonstrated the benefits of incorporating design tasks into formal education curriculum; however, a gap in research still remains surrounding how additional tools can best support students and teachers in these less than traditional learning environments. 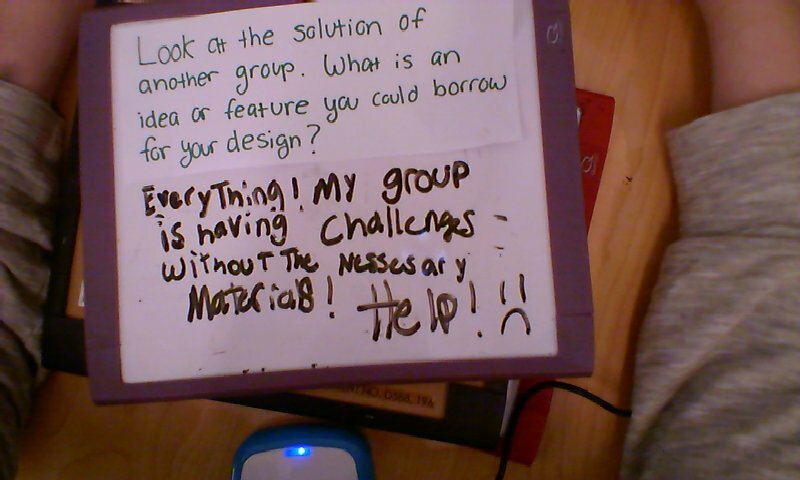 For my thesis research, I designed, tested, and evaluated a tool made with the intent of specifically supporting the practice of documentation during engineering design tasks within formal education settings.